Here ye! Here ye! A Royal is born! Editor’s note: Debbie is six weeks in to her Sequence stint, and we hired her for her impressive events experience, her calm demeanor and her background in ballet (because let’s face it, being able to walk on your toes in this business is an asset). We’d be lying though if we said we weren’t intrigued by the British thing. Up until this week Sequence’s newfound British heritage had only netted us a captivating accent and a host of new sayings (Chalk and Cheese leads the list, but this is definitely a future blog post). But over the past couple of days we’ve started to really feel some English pride. So [in our best town crier voice]: here ye, here ye, Debbie Hearnden’s SEQ Blog debut. About the baby of course. 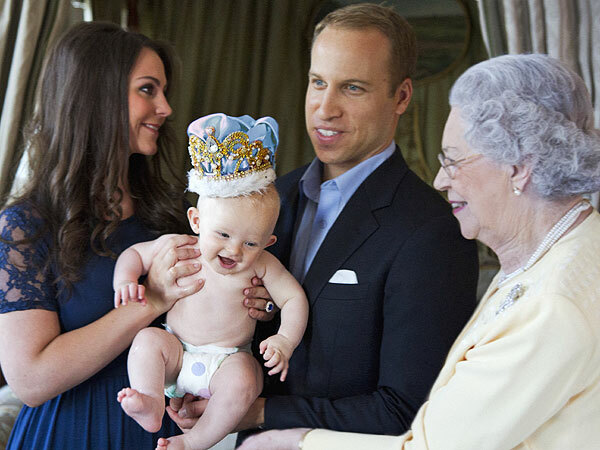 With the recent news of a Royal baby being welcomed into the world there is a flurry of excited tweets, status updates and much anticipated photograph posts hitting the web. So as the enthusiasm spreads across much of the globe, it got team SEQ wondering what it takes to be third in line for the throne. Not only will the little guy need to show poise and grace when in the public eye but he will need to be the king of composure (excuse the pun!) at every public event. The Royals are proud to get involved in both public-facing events, such as charity fundraisers and community outreach, and of course the more aristocratic of scenes, such as Royal Ascot, Jubilees and supporting Andy Murray in his euphoric Wimbledon win! And while many among us would gladly perch on the arm of our dashing princes at one of said events, the event professionals in us are desperate to get a glimpse of the Royals’ planning, operations and media strategies when letting one of their own into the wild. Let’s take the Royal Wedding of 2011, as an example. About 1,900 guests attended the service at Westminster Abbey, most of whom were friends and family but the list also extended to celebrities, senior politicians and even individuals whom had been in direct contact with Will, including people who were once homeless and ex-soldiers. Now who’s to say that among the unfamiliar faces there isn’t just one gatecrasher, Royal enthusiast or just plain daredevil that tries to sneak in? It may sound extreme but we know from experience that socialites are event experts and gatecrashing is the Medal of Honor! Now, let’s take this one step further and consider there are more than one million people lining the streets of London to get a sneak peak of the fairytale couple; forget bottle-necking this bottle’s overflowing! Just trying to comprehend the level of street planning and emergency-service logistics for the public’s safety, let alone the entire operations surrounding the bridal party, all the while delivering a seamless event without a button undone, is an intricate, complex matrix. Phew! Planning a wedding of this size and reception most likely started the year Will was born. The traditions may have been updated a wee bit, and we’re almost certain social media wasn’t around for Prince Charles and Lady Diana’s big day, but we figure on the whole the team knew what they were working with. Nevertheless, of course we’d love to get our hands on that operations manual -- and yes, we’d love to be privy to all the protocol and contingency plans -- but it also appears the efforts of this wedding were community-wide. The Metropolitan Police, who were heavily involved, coupled with a happy crowd in great spirits made for event planning success; there were just 53 arrests out of 1 million people. That’s impressive. As Will and Kate drive off into the sunset the Royal Events Department can breathe easy: Happy couple, happy public and most of all happy Queen, until the next Royal extravaganza. Cue Prince Harry to rock the Royal boat. While Prince Harry’s trip to Las Vegas in 2012 was not an event per se, it certainly became an event to remember. His security detail let him down and the repercussions were humiliating, leaving the Royal family to work hard rebuilding their brand and restoring their legacy. And sure enough they did, with the evident success of the Diamond Jubilee just a few short months later. It turns out they are best at planning the big ones! Now back to our little Prince, (who we now know is Prince George). He has a lot on his plate and is very much unaware that the whole world is watching him, from the moment he makes his first public appearance swaddled in a white blanket, to the day he is crowned King. Forevermore (or at least until he has children) he will be the Royal’s new star attraction and star attractions need training! We can only imagine the grooming-process for his future public appearances, as he learns elegance from his mother and courage from his father, (we believe he’ll find a way to hang out with cool uncle Harry too), he will certainly learn how to work a room. So next time we witness a Royal engagement with the family gracefully in attendance, we should consider and appreciate the behind-the-scenes machine that is ensuring its success, operated by a well-spoken, well-oiled and highly skilled team of event masters. And when do we think will be the little fella’s first big event? We’re putting bets on his Christening but we hope to see more of him before then. Even so, Royals, if you need some events help, we know a few good event pros who would love to lend a hand!